Aesthetics or cosmetic surgery is going through an unprecedented boom period. It’s like this because people have more access to better procedures, and at reduced costs when compared to how things used to be. Whether it’s non-invasive, minimally-invasive or invasive surgery, it’s all there on the table. There’s also a new phenomenon happening, and that is cosmetic surgery tourism. 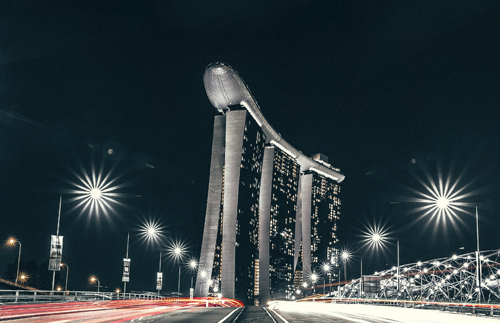 Singapore is fast turning out to be one of the most favoured destinations in South East Asia for these procedures. Having western-trained plastic surgeons that have an excellent grasp of the English language is a real selling point. This is one of the major reasons why Singapore’s plastic surgery industry stands out from the competition. The last thing any cosmetic tourist wants is a breakdown in communication. It happens in some countries where there’s been a misunderstanding of the patient’s desires and expectations. It doesn’t happen here. Some tourists are still attracted to the lower prices in neighbouring countries. There is always a risk that comes with bargain hunting for aesthetic surgical procedures. Regulations in some other Asian countries are often non-existent or totally ignored. This is not the case in Singapore. There’s not much, if anything, that you won’t find in Singapore with regards to plastic and cosmetic surgery. The clinics here stay on top of all the industry news and invest in the latest technologies. There is also some confusion at times with the terms “cosmetic surgery” and “plastic surgery”. They are closely related, but there are also some differences. The end goal for both procedures is to improve the patient’s physical characteristics of course. In general, most of the procedures that fit under the umbrella of “plastic surgery” involve invasive treatments. A lot of cosmetic surgical procedures are non-invasive or minimally invasive therapies. Let’s look at the most common of these. 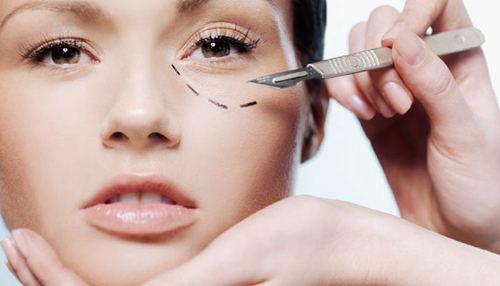 A good plastic surgeon is able to perform many different surgeries. However, there are those who become specialists in certain areas. It’s important for you to look not only for a qualified surgeon, but also one with experience in the procedure you want doing. A lot of people choose to travel for their plastic or cosmetic surgery procedures to save money and to get a holiday in one go. Many cosmetic treatments are same-day procedures. This means there’s still plenty of time to enjoy the vacation. There is always a risk potential for any kind of surgery, even minor cosmetic procedures. Although complications are extremely rare in the hands of an experienced team, you still need to know what they are. Even if you plan to travel for your treatments, you still want to run your plans by your own doctor first. Make a list of any concerns and/or questions you might have too. Remember, there’s no such thing as a stupid question, so be sure to ask about anything that you’d like an answer to. Depending on the type of treatment, you might want a familiar face to support you before and after your surgery. A friend or family member can assist you as you recuperate too. It’s also good to have someone close by if there are any sudden, unexpected complications. Even if they have nothing to do other than to keep you company, a good companion can help to make your entire procedure less daunting. Even though you will have all your bases covered, try not to over plan when it comes to the tourism part of your trip. It’s often easier and cheaper to organise sightseeing trips and book events once you arrive in the host country anyway. Finally, never let low costs attract you more so than quality of care. There is nothing more important to you than your health and wellbeing. Every clinic and all surgeons are going to praise and promote themselves and their services in a favourable light. Sadly, there are some places in the world that perform treatments illegally in the underground economy. Internet promotions, magazine ads and aggressive discounts draw in a lot of unsuspecting customers. For these reasons, make sure you look to countries like Singapore, South Korea or Japan if you hope to travel to the Asia region. All these countries have impeccable records and follow the highest standards.